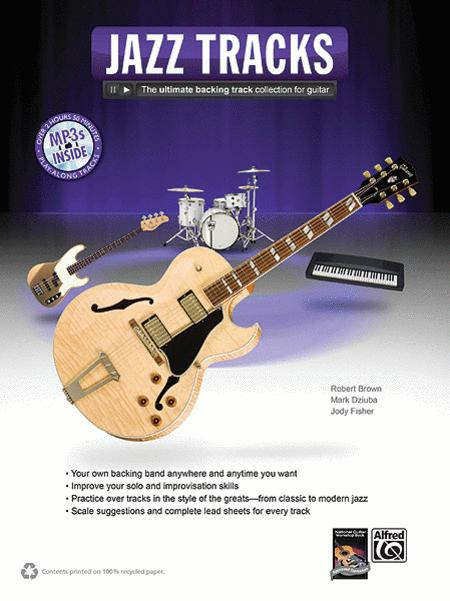 The Ultimate Backing Track Collection for Guitar. Composed by Robert Brown, Mark Dziuba, and Jody Fisher. Guitar Method or Supplement; Method/Instruction; Play-Along. Guitar Tracks. Jazz. Book; CD. 88 pages. Alfred Music #00-38894. Published by Alfred Music (AP.38894). Jazz Tracks is the most effective learning tool you will ever use. There are over 30 tunes that range from simple to complex, all in the style of the seminal artists from the history of jazz. Lead sheets include and scales, and the accompaniment audio tracks are long enough to let you stretch out and experiment as your chops develop. The scales are shown in standard music notation, TAB, and guitar-neck diagrams. 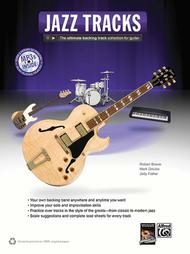 This book and MP3 CD is the perfect way for you to make the most out of your practice time and seriously advance your improvisational skills.